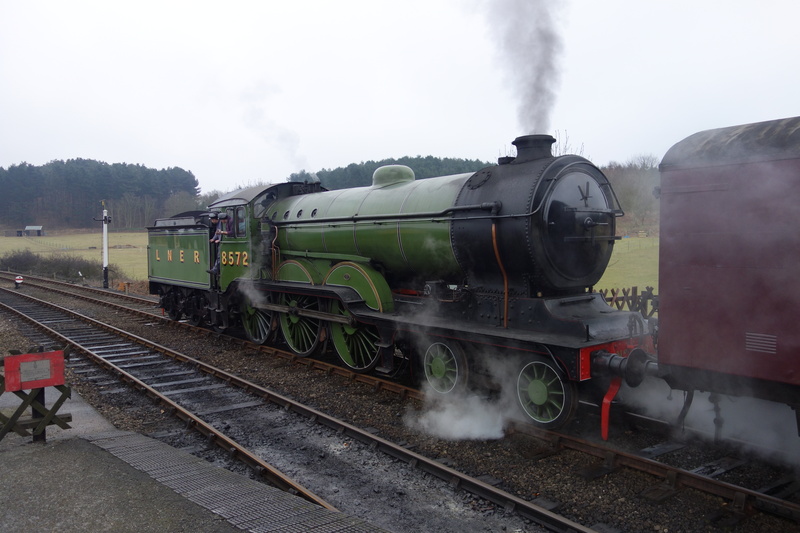 Last Saturday, on the 14th February, I visited the North Norfolk Railway, for the Wissington & Irene Special. 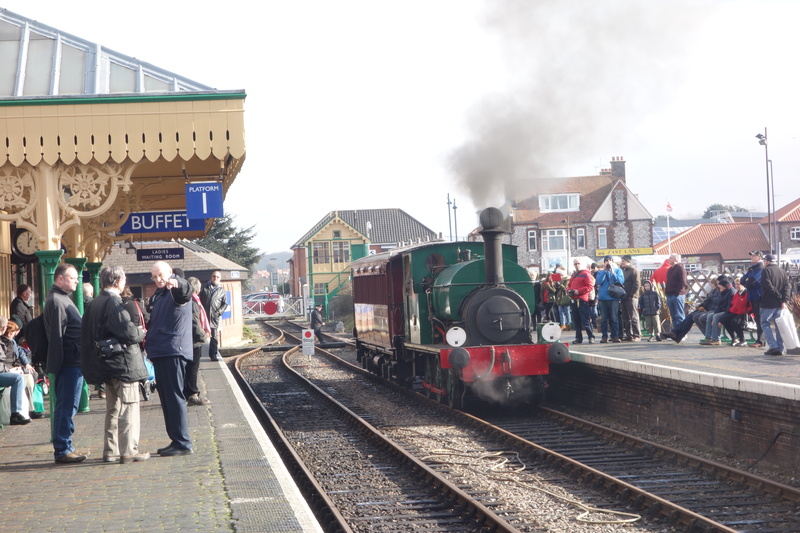 Both the locomotive (Wissington) and the carriage (Irene) have a varied history, and both of them, in the past five years, have been returned to service. 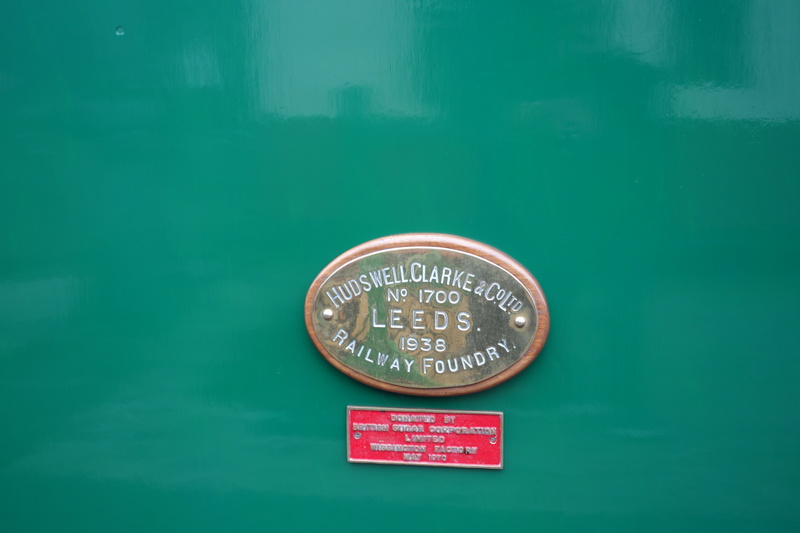 Wissington worked at the Wissington Sugar Factory before being bought for preservation and debuted this weekend in a darker shade of green, although final lining and the addition of the nameplate had not been completed before the event. 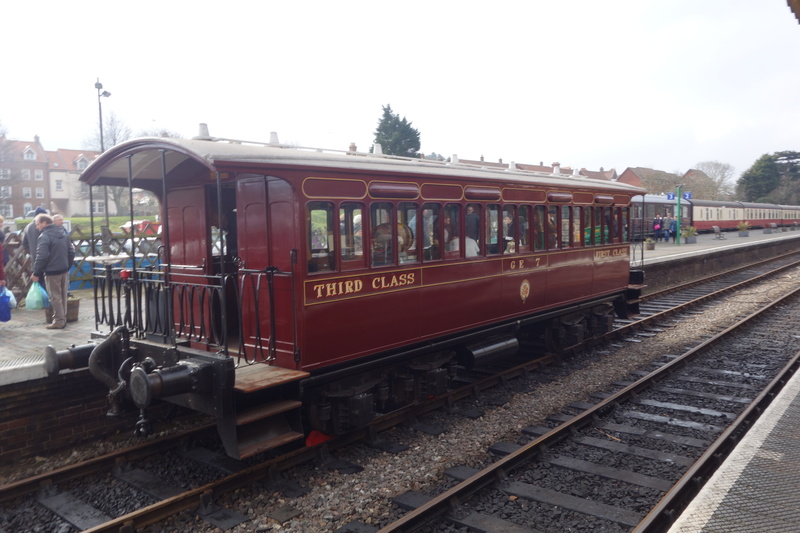 Irene is a Wisbech and Upwell Tramcar, and is part of the NNR’s vintage train, with consists of 3 other coaches, an LNER pigeon van, and an original M&GN coach. 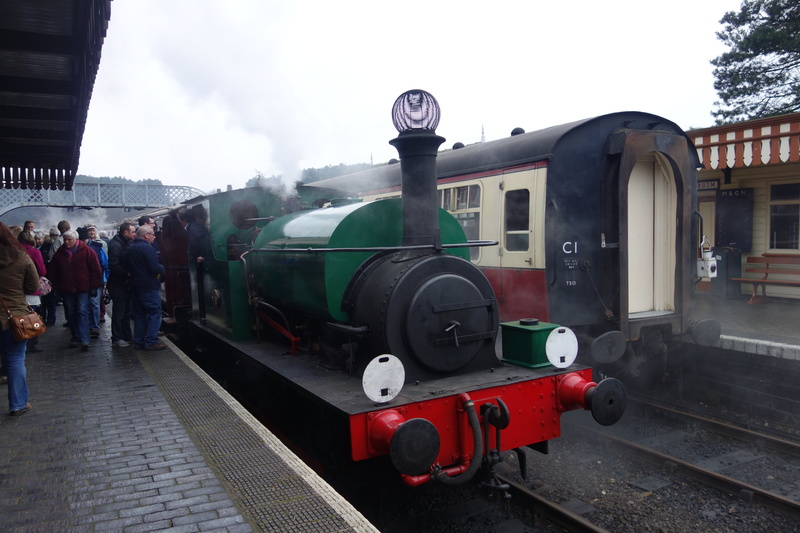 There are two more coaches waiting to be added to the train, with one of them nearly finished its overall, and the other waiting its turn at the back of the Bridge Road Carriage sheds. I traveled from Norwich station, on the Bitten Line to Sheringham, which celebrity B1 61306 Mayflower had traveled on the previous week and operated its’ first tour on the Wednesday, and since then, has been very busy on the mainline. 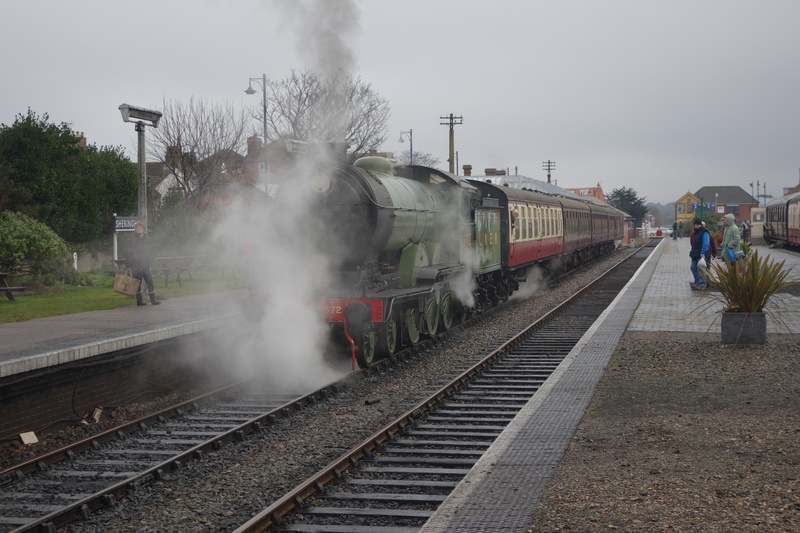 I walked over the road to the heritage station, which a few years ago, the link had been reinstated, and BR 7P 70013 Oliver Cromwell was the first locomotive to traverse the road on over 50 years. 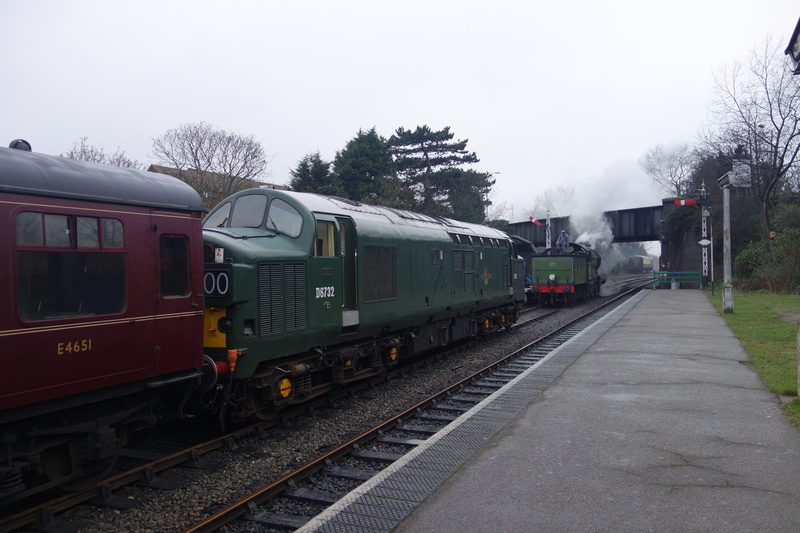 Apart from Wissington, the flagship steam locomotive B12 8572 and the immaculate Class 37 D6732 was also in operation. 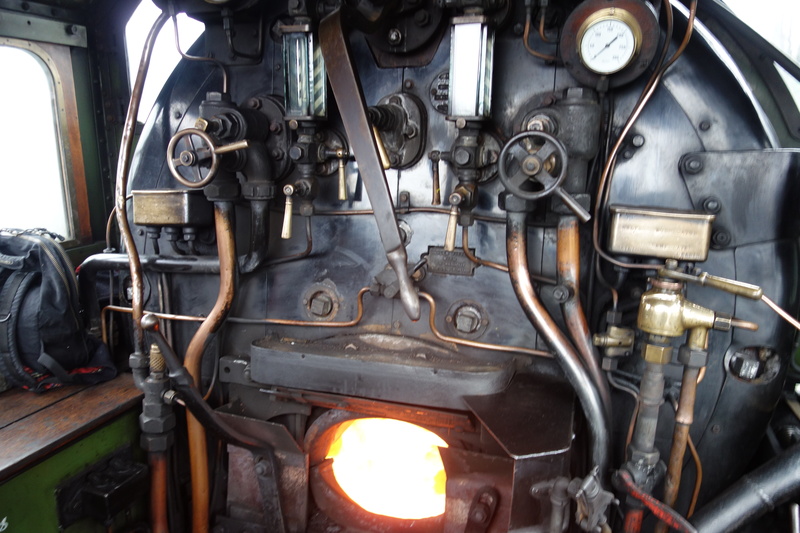 I was lucky enough to be invited into the cab of the B12, and felt the burning heat from the firebox. 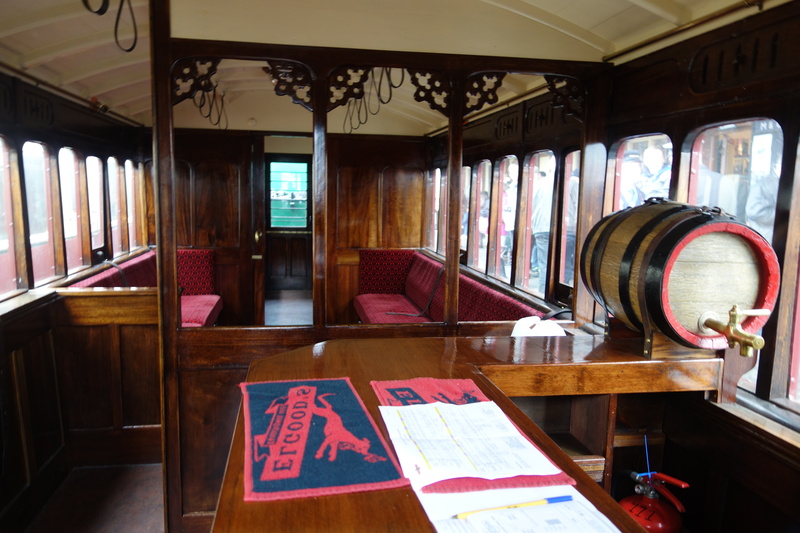 Seeing all of the leavers and dials inside the cab showed how skilled the crew needs to be to operate these locomotives. 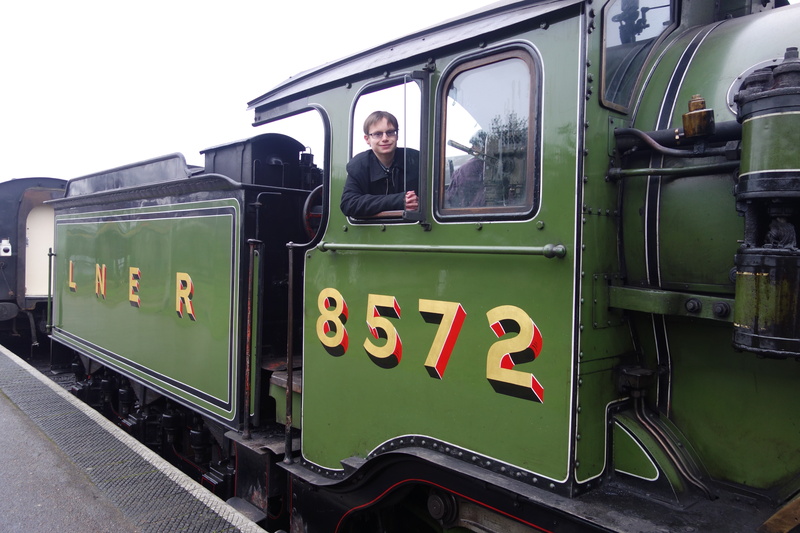 The fireman even took a photo of me in the cab, which can be seen below. Who needs selfies?! 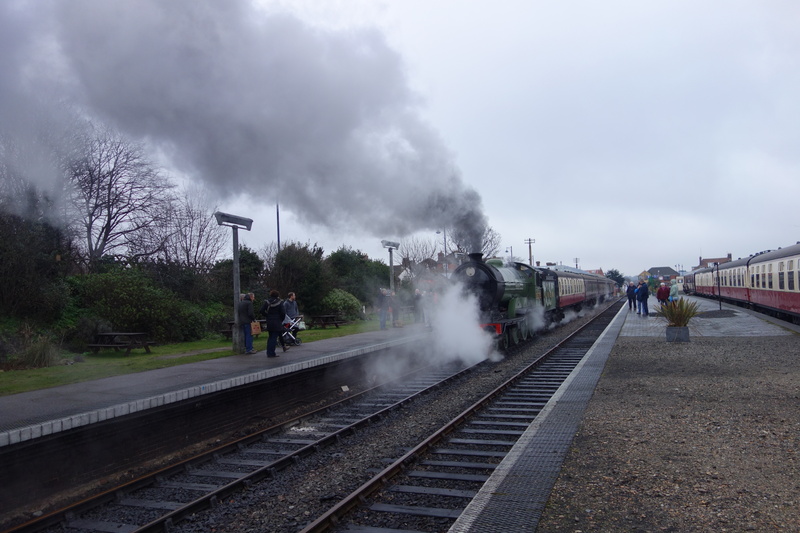 Any visitor to the North Norfolk Railway will know that the timetable will normally be thrown out of the window very early on in the day and today was no exception. 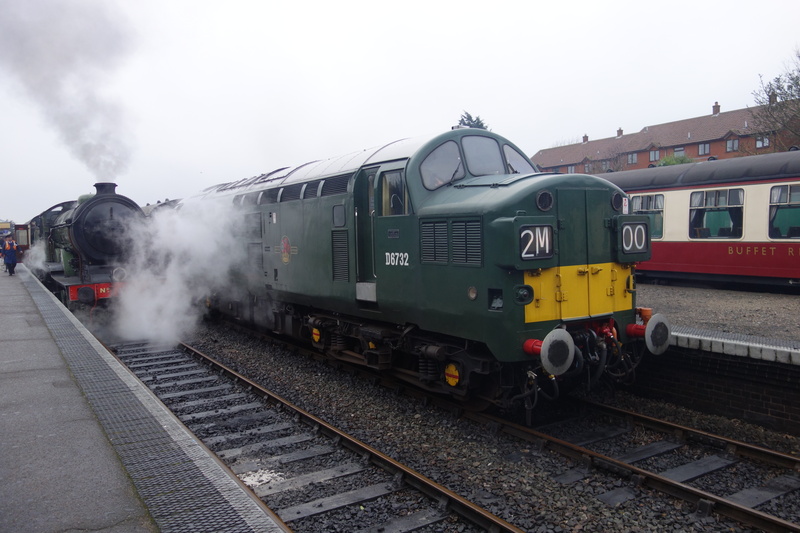 The 37 left at 9.45 and the B12 followed at 10.30. 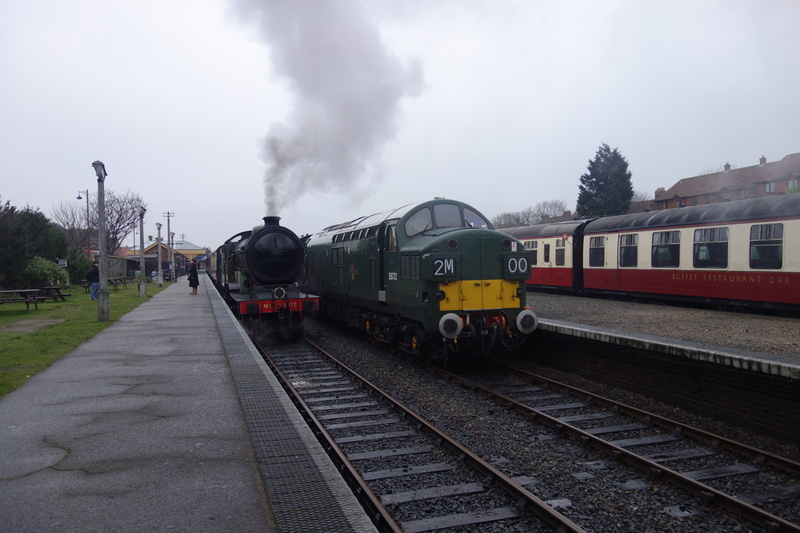 I boarded Wissington for the first special that day and waited on platform two for, what felt like an eternity. 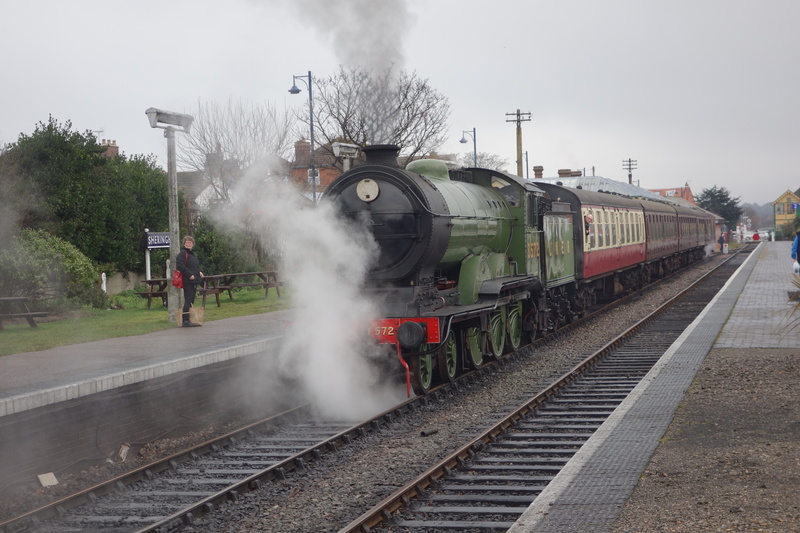 It turned out that the B12 had struggled to climb the hill after leaving Weybourne and had to be reversed back to the station and terminated there. 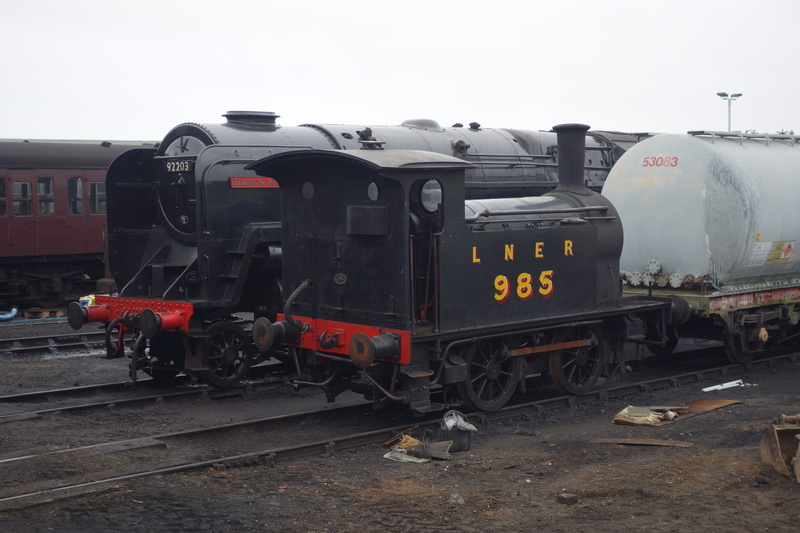 I found out that the tracks were oily and wet leaves had made the track very slippery for the heavy steam locomotive, It was also ironic that the line had not being used since the beginning of January! 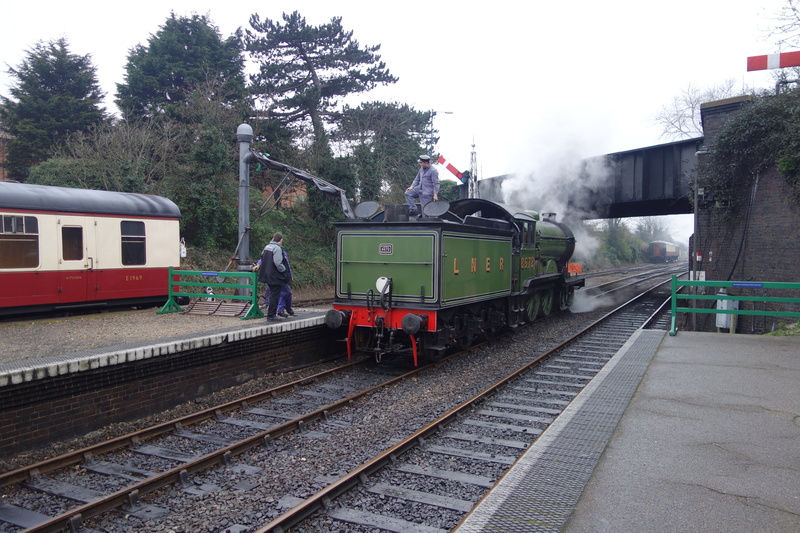 Eventually, the Wissington & Irene special left and after arriving at its destination, everyone got off and the train was shunted into the headshunt. After that, the day went without a hitch. I went to the local fish and chip show, The Sheringham Trawler, and had delicious meal, one I would recommend to anyone. After traveling behind the B12 to Holt (which she made this time!) I walked back over the crossing to mainline station. The event was a rousing success and from what I have heard, more these specials will continue through the year. 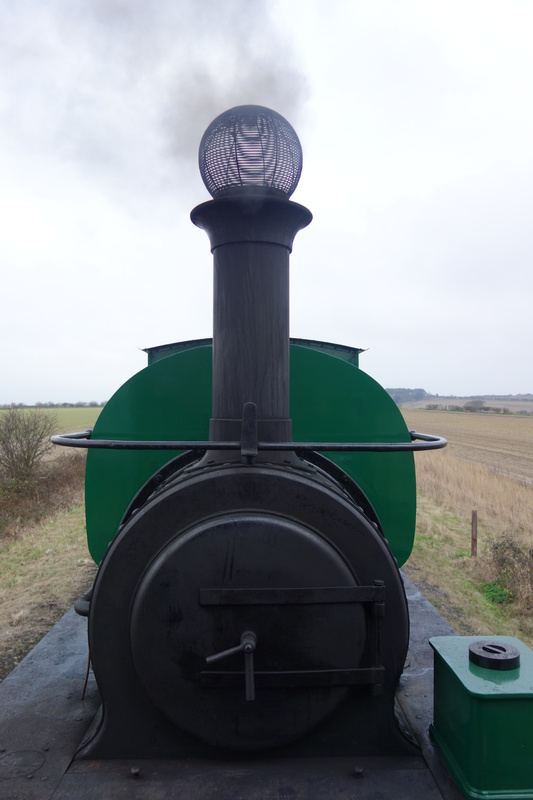 The next event will be the NNR’s Spring Steam Gala, in two weeks time, which I will be going to. Then, there is the return of the J15 in its new guise of a Y14. I will be going to its re-launch event, when that will be announced. At the top of the article is my video of the day, and below is some more images from the day. 21/02/2015 in 1306mayflower, North Norfolk. ← I Could Have Kissed Him!